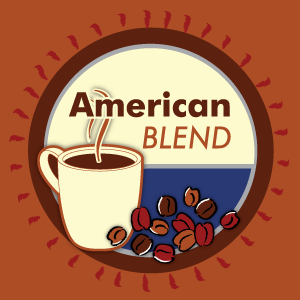 This American blend is our tribute to the traditional American coffee, with a gourmet twist. It is flush with aroma and lots of flavor but easy to drink. This light roast blend is a great everyday coffee, and makes for a cup of joe that is worth waking up for. As usual, we only use the finest Arabica beans for this coffee and no highly caffeinated Robusta. This blend is a real treat when made with a french press. If this is your first venture into the gourmet coffee world, this particular coffee is a great starting point. We use a special, American Blend roast for this product and it is only done in small batches to ensure the highest quality and consistency.